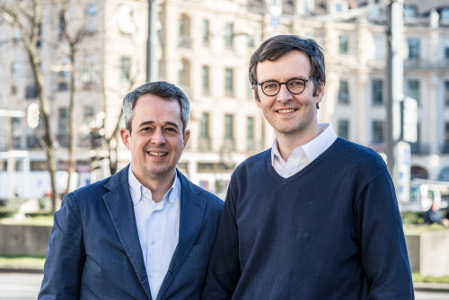 Munich, September 26, 2018 – Smart Reporting, a digital health startup company based in Munich, Germany founded by Prof. Dr. Wieland Sommer whose software Smart Radiology offers a solution for structured medical reporting as a cloud-based Software-as-a-Service (SaaS) using artificial intelligence, announced today that it has raised €4 million in funding. The new company funds are going to be primarily used for the growth of staff and the expansion to the U.S. / Silicon Valley in early 2019 led by Dr. Julian Wichmann as well as the expansion of the business portfolio. In the future, Smart Reporting is going to emphasize its focus on artificial intelligence and the further development and optimization of the Smart Radiology software’s self-learning algorithms. The intelligent software enables automation of repetitive tasks of everyday clinical practice to reduce doctors’ workload. At present, the startup has built up cooperation agreements with leading university hospitals in Germany and Europe to develop automatic image analysis and reporting algorithms. „This successful bridge funding provides a great starting point for our company’s future development and the upcoming Series B funding in the U.S. in early 2019“, said CFO and managing partner Dr. Johannes Huber. The Smart Radiology software is currently used by more than 5.000 registered users from over 75 countries in daily clinical practice. In addition to German and English, a lot of medical content is now also available in many other languages such as Chinese and Russian. „International users’ feedback both from hospitals and established practices is very motivating for us. With Smart Radiology’s future development in the coming year, we want to improve everyday reporting and make it even more efficient for our customers“, said founder and CEO Prof. Dr. Wieland Sommer. In this financing round, leading family offices participated headed by Rolf Dienst of Wessel Management who previously made headlines following Spotify’s IPO. In 2018, the startup was able to raise growth capital of over €2 million within the scope of a Series A funding. Smart Reporting is a digital health startup based in Munich which was founded in 2014 by Prof. Dr. Wieland Sommer as a spin-off from the Ludwig-Maximilians-University, Munich. The company offers an intelligent solution for structured medical reporting and clinical guidance. The first platform was launched in radiology (www.smart-radiology.com) and the integration with speech recognition and RIS/PACS vendors supports radiologists directly in their clinical workflow to generate high-quality medical reports including guideline-compliant criteria. Wessel Management is the vehicle for venture capital and other investments made by the family of Rolf Christof Dienst. They have been investing directly (and through Rolf, founding partner of Wellington Partners, also indirectly) with entrepreneurs, who show the greatest potential to achieve success for interesting ideas and/or technologies for 40 years. Wessel Management particularly likes to engage with companies which contribute to the wellbeing and prosperity of society in general. Moreover, they mostly invest in conjunction with a small group of co-investors – all experienced entrepreneurs themselves with specific industry knowledge and wide-ranging personal networks. Together with these partners, they support their portfolio companies actively.